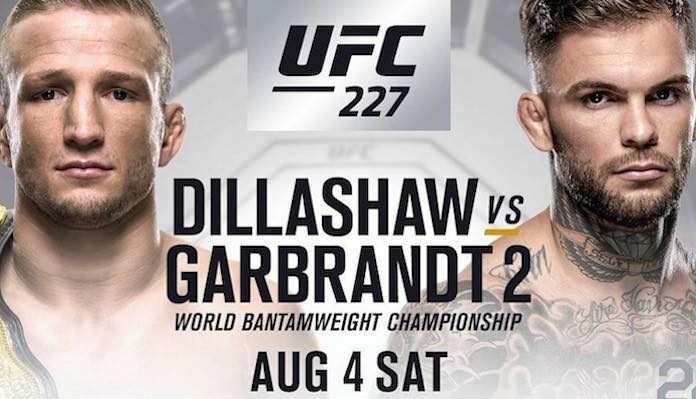 Tomorrow night, the UFC returns to Los Angeles, California with the exciting UFC 227 card. 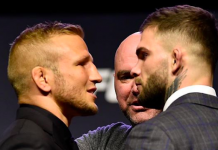 This card, which will emanate from the hallowed Staples Center, will be headlined by a bantamweight title rematch between champion TJ Dillashaw and challenger Cody Garbrandt. 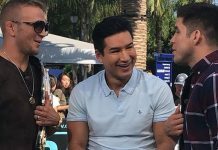 The pair first met less than a year ago, in the co-main event of UFC 217 in November. 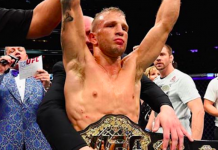 On that night, Dillashaw defeated Garbrandt via second-round knockout to reclaim the UFC bantamweight belt. 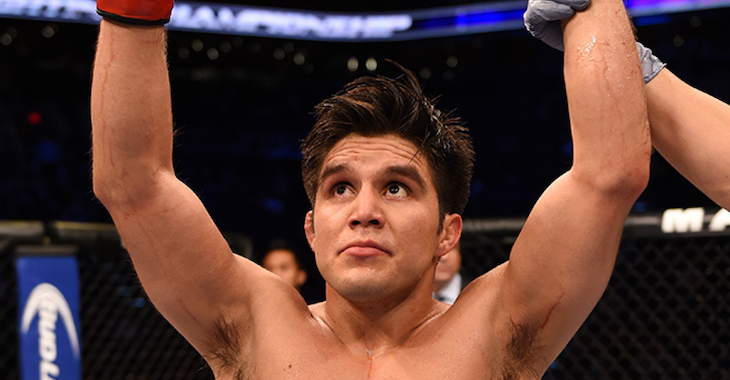 The UFC 227 co-main event, meanwhile, will occur at flyweight, where dominating divisional champion Demetrious “Mighty Mouse” Johnson will attempt to defend his title for a whopping 12th time against former Olympian Henry Cejudo. 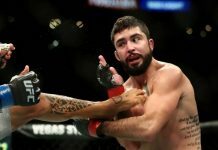 Johnson has defeated Cejudo once before, mauling him to a first-round TKO in April of 2016. 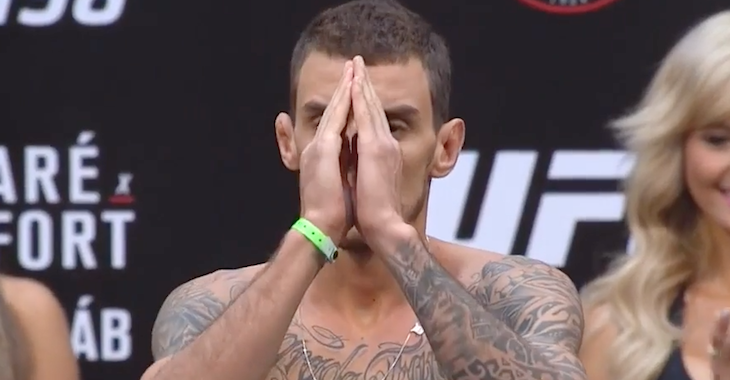 Other highlights of the main card include a featherweight contender bout between Cub Swanson and Renato Moicano and a middleweight bout between Kevin Holland and Thiago Santos. On Friday afternoon, the 24 fighters on this 12-fight card took to the scales to weigh in for their respective battles. Remarkably, all 24 fighters on the bill made weight. In these trying times of frequent weigh-in blunders, that’s a definite cause for celebration! Here are the official UFC 227 weigh-in results (via MMAjunkie).